Taurus natives make you aware of your fears. Taurus represents a temptation for you because you find it difficult to understand their nature. Gemini natives can have a nice relationship with a Taurus as long as they don't take into consideration the small comments. Taurus will inspire you to look at a project on the whole, not piece by piece, which could actually be a profitable thing if you are ready to learn and be taught. 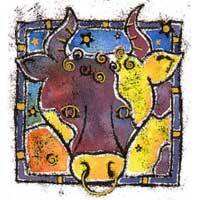 Taurus influences aspects of your life related to the unseen, unpredictable, hidden things and life's mysteries. It will be very encouraging for you to join different organizations, clubs and groups, to apply to different superior institutions. Although you are attracted to Taurus, you are a bit reserved. You can reveal some of your secrets to a Taurus native and you'll no longer feel the useless burden of keeping any. Although Gemini and Taurus are zodiac neighbors, they have different characteristics which are probably the main reason for the attraction between them. 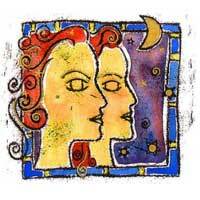 Gemini is always restless and on the move, while Taurus natives are calm and close-mouthed to changes. They can help Gemini settle down and can bring stability in their lives. You will have secret dates and share secrets. A romantic atmosphere can be foreseen, but what's missing is an equilibrium that can come whether from your side or your Taurus partner's side. Problems can appear because of your restlessness and the Taurus' stillness.